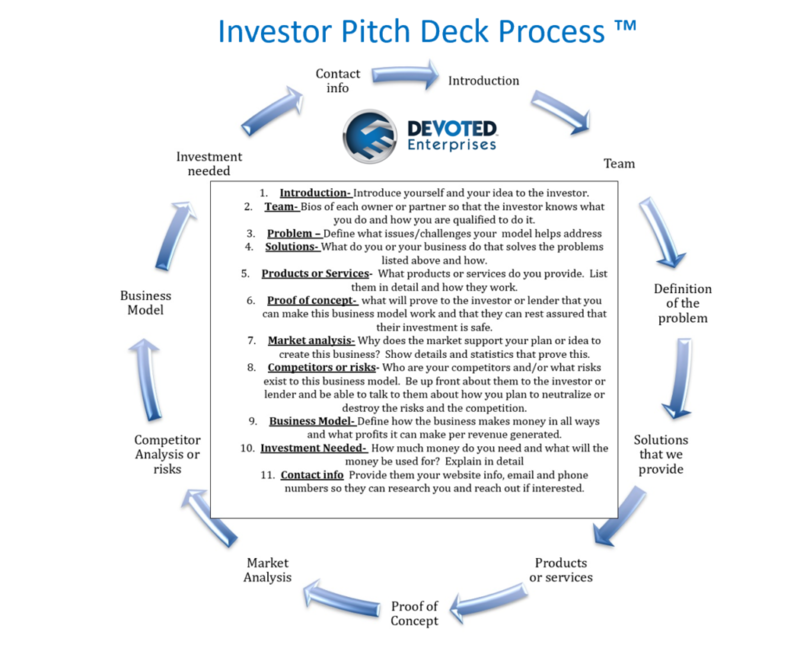 Investor Pitch Deck - Devoted Enterprises Inc. Need to Find an Investor or Lender? Needing to find an investor or lender is one of the most common things that we run into with any business owner or prospective entrepreneur. 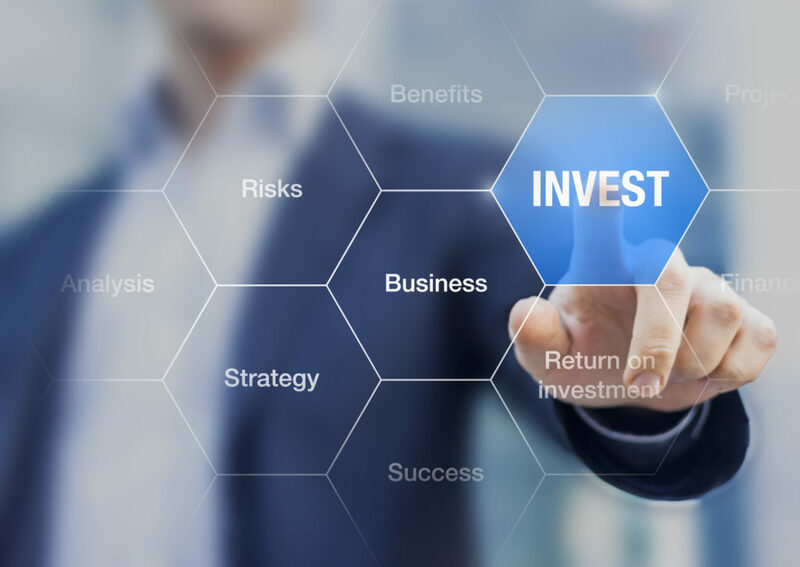 As we have found over the course of many years in this business however, most people know little or nothing about how to get a lender or investor interested in their product or services. They do not know how to stand out from the thousands of other people that are pitching their lending needs every single day and because of this get lost in the shuffle. Helping our Clients find and hook lenders or investors is one of the most important services that we provide and we believe that there is nobody better at it than us . We will not only teach you how to stand out from the crowd and get the funding that you need, but we also have personal investors that we refer to once this process is complete So almost all of the work is done for you. Our clients are more than 8 times more likely to get the funding they need than those who go it alone and try to do this by themselves. Do not be a statistic! So What Does an Investor Need to See? Introduction- A strong and unique introduction is the first thing that they see. Make it a good and memorable one because you never get a second chance to make a first impression. Introduce yourself and your idea to the investor while remembering that you need to stand out in their mind as they get many people asking them for money! Problem – Define what issues and challenges exists in the world and that your business model helps address. People do not care who you are or what you do, but rather how you can help them or what you can do for them. Investors are no different. Do not skip this step as they will surely pass you over if you don’t have a mission that they can get behind. Solutions- What do you or will your business do that solves the problems listed above. Do not forget to be specific as it relates to how to make that problem that exists go away. I other words how do you and what you do make their problems go away. Products or Services– What products or services do you provide. List them in detail and how they work. This is essential because it gives the investor insight into whether your thought process was right and solid or not and how scaleable it may be. Proof of Concept- What will prove to the investor or lender that you can make this business model work and that they can rest assured that their investment is safe. Show examples or customers already using your product or services etc. Market Analysis- Why does the market support your plan or idea to create this business? Show details and statistical analysis and research that prove this beyond a reasonable doubt. Competitors or Risks– Who are your competitors and/or what risks exist to this business model. Be up front about them to the investor or lender and be able to talk to them about how you plan to neutralize or destroy the risks and the competition. Never let them find a risk that you didn’t discover on your own. No surprises. Business Model- Define how the business makes money in all ways and what profits it can make per revenue generated. This is also the time to include good projections. Good projections are not guesses! Investment Needed- How much money do you need and what will the money be used for? Explain in detail as well as how you intend and are able to pay back. I would also include or think about including what you are willing to provide or “give up” for that investment. Contact info Provide them your website info, email and phone numbers so they can research you and reach out if interested. Also provide any resources that will allow them to research you and this endeavor easily. *Final Tip– One final tip that we will give you is that if you do not have a Trademark or legal protection like a patent of this idea, make sure to have you investor and anyone that helps you with it sign a mutual nondisclosure agreement. That way you are protected and they cannot steal your idea from you.